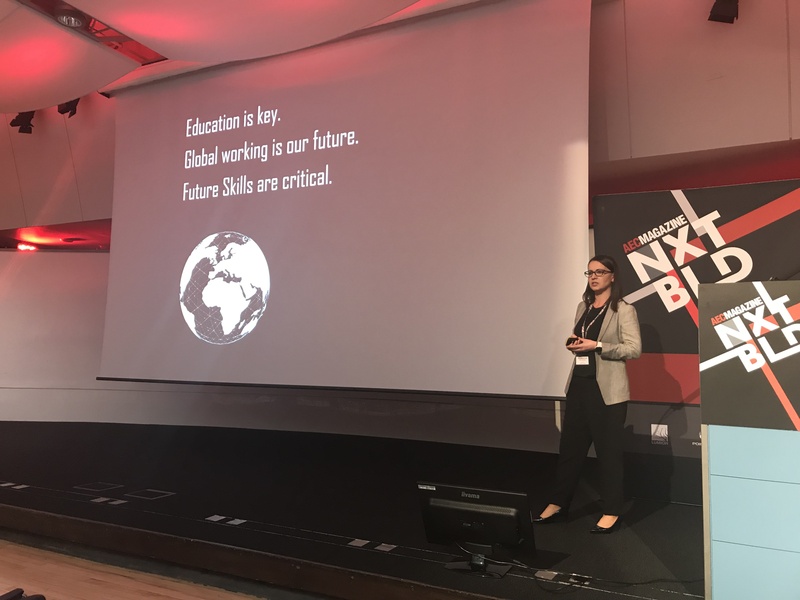 I’m back in London this week after being invited to take part in AEC Magazine’s NXT BLD one-day conference and exhibition, speaking about how Smart Cities, BIM and Digital Construction will alter the future skill requirements. So, while the definition of Smart Cities can sometimes seem a little vague, the cities that are looking to develop a plan to realise the vast sets of data and technology at their disposal to improve their resilience, are unmistakably on the rise. This year’s NXT BLD had a distinct flavour – covering emerging and innovative technologies from AI, VR and 3D printing to laser scanning, Blockchain and Photogrammetry and much more, with a host of expert speakers from around the world, many of which I met at the pre-event networking night on the 12th June. It’s always fascinating to speak to so many industry leaders who are passionate about the direction our industry is taking and how we can reap the benefits that technology can offer. Not only did NXT BLD offer a thought-provoking conference timetable, but the exhibitors also provided hands-on demonstrations of the latest technologies including a quadruped robot from React Robotics, and The Soluis Group who showcased their latest game engine technology. 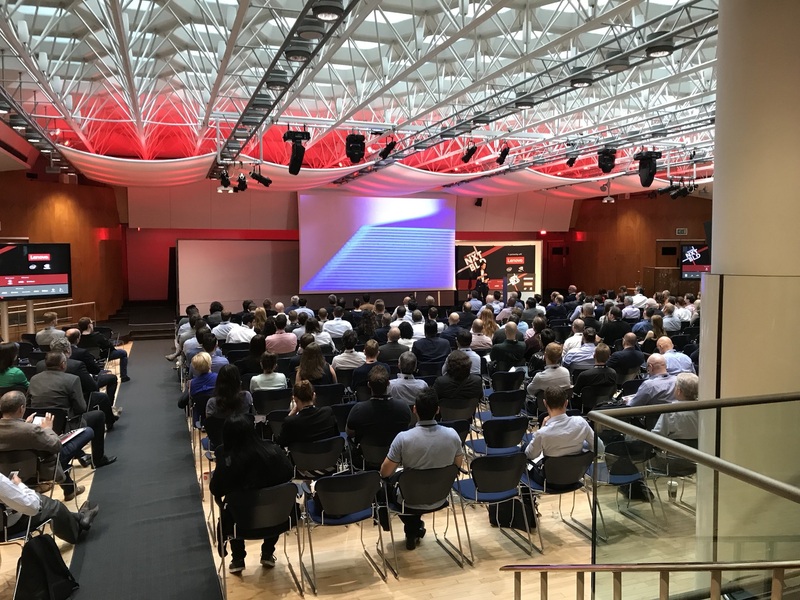 The conference itself took us on a journey of future revolutionary technologies and how they can be applied to our industry today to improve processes and our built environment. The central theme of ‘Digital Fabrication’, which includes topics such as modularisation, robotics, CNC, and 3D printing are all part of the ‘going digital’ aim and are set to disrupt the norm – enabling our industry to create a path toward digitisation and improved processes. However, how do we ensure we have the skills to keep up with these substantial technological advancements? In my session, I provided a summary of smart cities missions that have been undertaken via Innovate UK with small yet agile technology companies looking to sell their digital products to future cities. In my talk I provided an overview of these types of solutions, touching on future technology predictions and processes which will affect the smart city dialogue. The way we procure and deliver digital solutions to both national and local governments across the world was discussed as well as the future skill requirements. We also support the consistency of methodologies all backed up by standards, created to support global trade and transactions; something that is urgently required when it comes to being ‘digital’ in the construction industry. However, the skills required to meet the smart city aims need to be addressed imminently. We at Digital Node understand the vital part that education and training play in developing the knowledge and skill sets to deliver the aspirations offered by advancements in technology. Our BIM courses are delivered around the world, supporting our passion for the built environment and extending our belief in the power of BIM by engaging future practitioners. Only by addressing the urgent need to recognise where to concentrate our educational efforts will we ever hope to realise fully what our future cities can be. Thanks to AEC Magazine for creating this day of discovery and I’ll hopefully return to NXT BLD in 2019 for another thought-provoking event!